A trust is a legal device that allows someone to place assets under the control of a trustee for distribution to beneficiaries. It is often used to avoid probate upon the death of the person who funded the trust, known as the settlor. If the trust is revocable, the settlor may simply revoke or amend the trust to replace the trustee. Replacing the trustee becomes more difficult, however, if the trust is irrevocable. Under certain circumstances, however, California law allows the replacement of the trustee of an irrevocable trust. Examine the trust deed to determine if the trust is revocable or irrevocable. If the settlor is dead, the trust is automatically irrevocable. It is also irrevocable if the trust deed states that it is. If the trust deed is silent on the issue of revocability, California law assumes that it is revocable. Demand a written accounting of trust assets from the trustee. The trustee is legally obligated to provide a periodic accounting. Study the accounting statement for evidence that the trustee has mismanaged trust assets. Gather evidence for any grounds for removal of the trustee. Under California law, a trustee may be removed for mismanagement of trust assets, financial insolvency, lack of fitness to carry out his duties such as serious health problems, excessive compensation, failure to perform his duties and infighting among co-trustees. Two types of evidence are persuasive: documentary evidence and testimonial evidence. As such, you could obtain a copy of his bankruptcy filing, or speak with a doctor who can testify about his medical condition, to serve as evidence. Identify a successor trustee. A successor trustee may be named in the trust deed. If not, locate a person or entity, such as a trust company, willing to take over if the current trustee is removed. Complete a California Petition to Remove Trustee. The petition is a two-page document that requires you to identify yourself and state your reasons for seeking the removal of the trustee. You must be the settlor, a beneficiary or a co-trustee to complete the petition in your own name. Submit the petition to the court clerk of the California court with jurisdiction over the trust, together with the appropriate filing fee. If the trust was created while the settlor was still alive, a California Superior Court will have jurisdiction over the case. If the trust was created by the settlor's will, the California Probate Court with jurisdiction over the settlor's estate will have jurisdiction over the case. The filing fee varies by jurisdiction. The court will serve copies of the petition to all interested parties, such as the beneficiaries and any co-trustees. 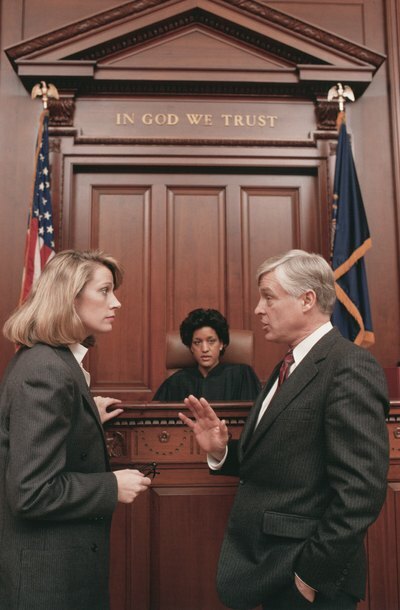 The court will set a hearing date if state law requires a hearing, or if the court determines that a hearing is needed. Attend the hearing, if one is scheduled. Bring all evidence you have gathered, because you will have to present it at the hearing. You may submit documents into evidence and call witnesses to testify. Transferring property from yourself to your revocable or irrevocable trust is known as funding the trust. Only assets that are properly titled to the trust can avoid probate at your death. Exactly which assets you should transfer, depends on your financial picture -- but how you title the assets is the same for various trusts. The death of a trustee under a living trust means the successor trustee, also named in the living trust, assumes the trustee’s duties. Since the trustee holds legal title to trust property, the property is held in the trustee's name. As a result, the successor trustee must prepare the necessary documents to change title to the trust property. How Do You Remove the Executor of a Living Trust? The executor of a living trust, normally known as the trustee, is vested with the power to administer trust assets on behalf of the trust beneficiaries in conformity with the terms of the trust deed. The ease with which he can be removed from his position depends on a number of factors, including whether the trust is revocable or irrevocable. Can I Change a Successor Trustee Without a Lawyer?